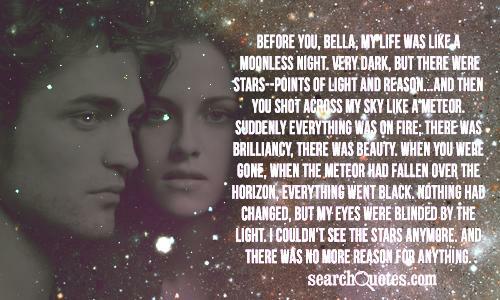 Before you, Bella, my life was like a moonless night. Very Dark, but there were stars--points of light and reason...And then you shot across my sky like a meteor. Suddenly everything was on fire; there was brilliancy, there was beauty. When you were gone, when the meteor had fallen over the horizon, everything went black. Nothing had changed, but my eyes were blinded by the light. I couldn't see the stars anymore. And there was no more reason for anything. Lets you and I not push poor Mike any further this week. We dont want him to snap. Dont be offended, but you seem to be one of those people who just attract accidents like a magnet. So try not to fall into the ocean or get run over or anything, all right? Sometimes I have a problem with my temper, Bella. Go stop Jessica and Angela before I have to track them down, too. I dont think I could restrain myself if I ran into your other friends again. I hope you were more creative this time or are you still stealing from comic books? I was wrong youre much more observant than I gave you credit for. Its harder than it should be keeping track of you. Usually I can find someone very easily, once Ive heard their mind before. It was very hard you cant imagine how hard for me to simply take you away, and leave them alive. New Updates! (4/18/2019) We've been working really hard on completing our membership system so you can submit quotes and keep track of them. Once this is complete in the coming weeks there will be a lot more quotes by Edward Cullen and other authors. 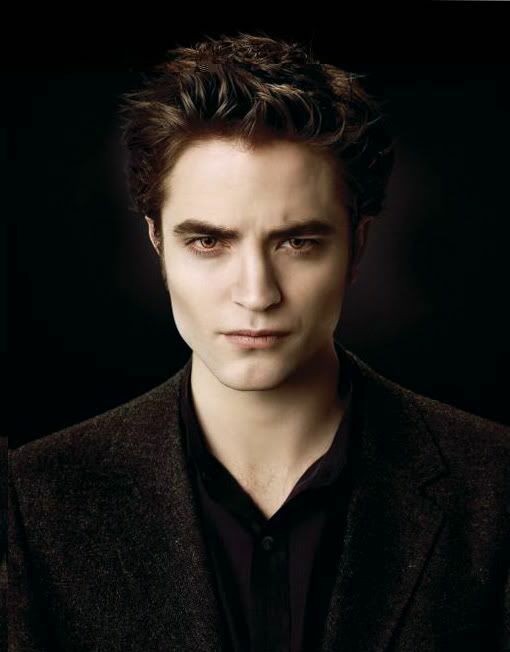 We've also changed the sorting on the site so you now see the latest Edward Cullen quotes first. 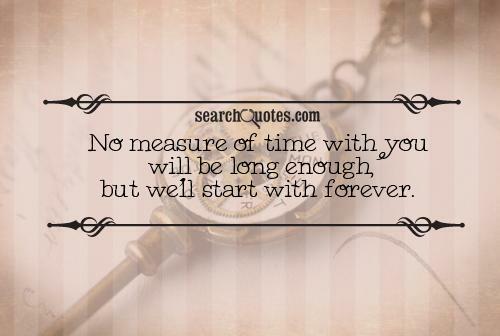 Our goal is to have the best Edward Cullen quotes on the web!